Whether you are looking for a routine test or a more complex treatment; our team of Gastrointestinal consultants, pathologists and oncologists work together to offer you the most comprehensive and personalised care for all your needs. Thanks to our advanced testing capabilities, we are able to provide faster and accurate diagnosis and follow it up with dedicated treatment plans for a wide range of digestive conditions. Appendecotomy is performed to remove the appendix when it becomes infected and may be causing inflammation. Majority of gallbladder diseases happen due to irritation of the gallbladder walls which is mainly caused because of gallstones blocking the duct leading to small intestines. With a simple procedure of cholecystectomy the problem can easily be removed. With the help of a simple surgery called the fundoplication, our qualified team of doctors and surgeons fix the hernia, if there is one, and wrap the top of the stomach around the bottom of the esophagus that strengthens the sphincter and keeps the acid out. When one is suffering from this disease, their immune system gets on to attacking their intestine which causes pain and inflammation. To avoid this situation and further damage to the intestine, our doctors recommend a surgery called bowel resection, to remove the damaged parts and reconnect the healthy parts to allow the intestine and digestive system to function properly. A patient may be required to undergo surgery to remove the cancerous or tumorous parts of the digestive system for example parts of pancreas, liver or intestines to allow the system to work properly and not cause further damage. 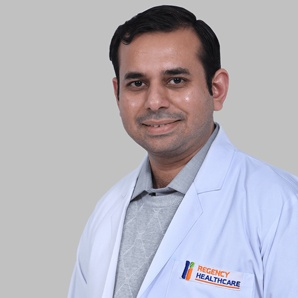 Dr. Abhimanyu Kapoor works as a Consultant Surgical Gastroenterologist with Regency Hospital. 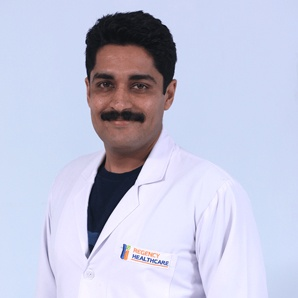 Dr. Puneet is currently associated with Regency Hospital as a G.I. Surgeon, with clinical interests in Hepatology, GI motility, and functional bowel disorders.